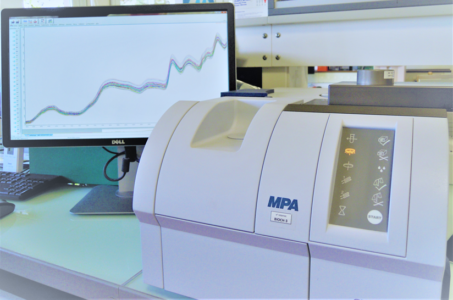 NIRS and NMR are techniques for the quantitative and qualitative assessment of biochemical constituents. Near-InfraRed Spectroscopy (NIRS) is a physico-chemical method for the qualitative and quantitative analysis of products at the molecular level. This technique is based on the study of the interaction of light and matter. It is a spectroscopic method that uses the near- infrared range of wavelengths (from 780 to 2500 nm). The collected spectrum includes information associated with the molecular composition i.e. closely-related to the chemical and physical properties of organic molecules in the sample studied. Chemometric methods are applied (mathematical and statistical processing) to develop calibration NIRS for extracting relevant information from data sets i.e. 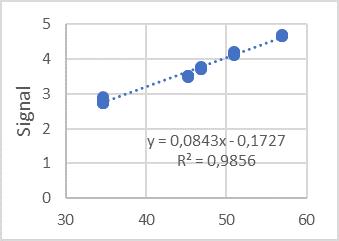 NIR spectra data and interest criteria values previously measured by a reference method. 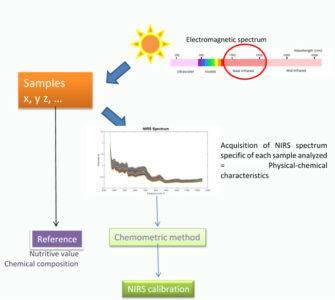 NIRS has several advantages: it is a rapid and non-invasive technique that can measure multiple parameters simultaneously. 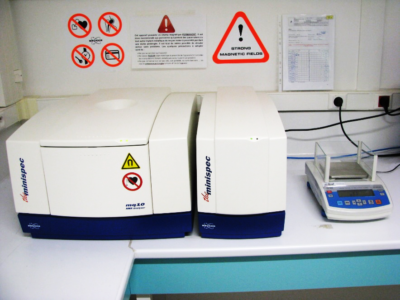 Nuclear Magnetic Resonance (NMR) is a non-invasive and non-destructive analysis technique. It uses the magnetic properties of the atomic nucleus which absorbs electromagnetic radiation of a specific frequency in the presence of a magnetic field. This is called the absorption measurement of radiofrequency radiation (RF). It is used to measure the relaxation times and the FID (Free Induction Decay) signal. Here, the equipment used a low-field 1H proton magnetic resonance method. Signal intensity is directly proportional to the number of protons and can be used to determine the biochemical composition of samples (e.g. fats, water).